There are SO many different brands of yoga clothes out there, it is absolutely nuts! Lululemon, Athleta, Gapfit, Prana, Outdoor Voices, Beyond Yoga, Alo Yoga – more and more and more! Why is this? Well, they are comfortable, fashionable, and fun! You can buy different colors and styles – mix and match. Personally, I would wear yoga clothes 100% of the time if I could! They are the best. The most common question that I get – and the most common question that I ask myself is related to money. Are certain brands really worth the money? How much is too much for something that I plan to get super sweaty and smelly in? Well – I hate to break it to you all, but there is no magic answer! Yoga clothes preferences are completely personal. Willingness to spend a certain price point, desire to have variety, attention to detail, and feel – no one can tell you which you brand(s) is right for you. Having said all that, I am happy to share my personal opinions on different yoga clothing brands. Over the next few weeks, I am going to discuss (what I believe to be) some of the most popular/well-known yoga brands out there. We will discuss fit, feel, price, company history, and more – basically, Yoga Clothes 101! In stores or online. Lululemon clothing can also be found for sale in some yoga/fitness studios. I am not going to lie – for a long time I tried tried TRIED not to buy anything Lululemon. I questioned, how could their leggings POSSIBLY be worth the price. Well ladies and gents – then I bought a pair. I love almost everything that I have ever purchased from Lululemon. Is it expensive? Yes. Are there other clothing products from other brands that are just as good out there? Very possibly! Don’t misread – I am not advising that Lululemon is the best of the best of the best. But I do love love love my Align tights more than any other piece of clothing I own. Nor can I tell you how many compliments I have gotten on my strappy Lululemon bras. So having said all that – let’s talk a little bit more about Lululemon. Lululemon internally generates all their own fabrics. Nulux, nulu, luon, everlux, luxtreme – the list goes on. It is important to note that all these fabrics have suggested “best purposes,” feels, and instructions for care. For example, luon is recommended for yoga and other low-impact work outs. They provide a “hugged” fit to hold you in and are incredible soft to the touch. Luxtreme on the other hand is recommended for more high impact workouts like running, HIIT, and cycling. Luxtreme has a more slick finish which allows the fabric to rub against itself with little friction. Where luon might pill between the thighs if used for running, luxtreme will not. I recommend Lululemon for people who are willing to invest in their athletic wear. Because that’s what Lululemon is – an investment. Your are spending a large amount of money for high quality clothing – but also for a name brand. Lululemon is cool. There is no denying that. You see the Lululemon insignia on someone’s sports bra or behind and you know that they spent a pretty penny on their current attire. Lululemon offers women and men’s clothing. Most of the clothing are geared toward athletic wear, however, they do have some items which focus more on “athleisure,” for example, dresses, bags, jackets, gloves, and more. Lululemon RARELY goes on sale – why? Because they don’t have to. Lululemon has been successful without offering site-wide/store-wide sales. So why would they? They do offer a sale section of their site called “We Made Too Much.” Here, final sale items are offered for a slightly reduced price – but only very slightly. Why I love it: This sports bra does it all. It looks cute, it holds you in, and it’s incredibly comfortable to wear. I love to wear mine for yoga, cycling, running, or even just hanging around the house. The bra has slip in optional, removable cups for a little extra coverage – recommended for ladies with a B/C cup. Why I love it: The back the back the back!! I love how strappy this bra is. It looks so cute peaking out beneath tanks – I cannot even tell you how many compliments I have received on mine. Warning: this bra is NOT for high impact activity. I would only suggest wearing for yoga or casual wear – and if you can handle not have a lot of support. If you are a D cup or larger, this bra may not be for you. Why I love it: There are quite a few things I love about this tank. I love that there is a built in bra which holds me in tight for low-impact activities like yoga, cycling, pilates, and weight-focused workouts. Having said that, I would not recommend for running, HIIT, or high-impact cardio (you may find yourself bouncing around a little too much). I love how long and snug the tank is. When I wear this tank to yoga, I never have to worry about my to back or stomach hanging out. The tank will stay snuggly in place throughout my yoga class. Lastly, I love the material – luon is one of my favorite Lululemon fabrics because its soft yet thick and sturdy, never see through. I feel supported when wearing luon! It’s as simple as that. So what’s the deal? Am I a Lulu-lover or Lulu-loather? I give in – I am a lover of the Lulu! 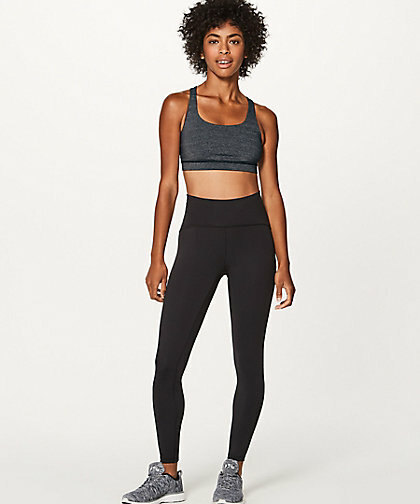 All over the internet, I have seen judgements about Lululemon as a brand and questions about their change in quality overtime (some argue that Lululemon has lost quality over the years) – I have not personally experienced or noticed this in the clothing that I have purchased, so I cannot speak to it. 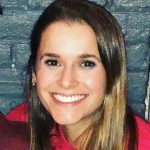 I did once have a pair of Lululemon leggings which got a pull in them only a week after purchasing – I quickly contacted their customer service and was given the option to return or exchange my faulty leggings without trouble! This impressed me. Whatever you may think of Lululemon as a company or brand, they do stand behind their product. I have also heard interesting things/rumors really about the brand’s culture – again, these are not things I can speak to personally because I have no experienced them! I can only speak to my personal interactions with employees and clothing – all of which have been positive. Yes – Lululemon is EXPENSIVE! There is no denying that. So if you are looking for a quality, but affordable athletic-wear company – maybe Lululemon is not the brand for you! And that’s perfectly okay. Stay tuned for my Yoga Clothes 101 post on Athleta/Gapfit! Do you have any favorite products from this brand? Share them in the comments section!